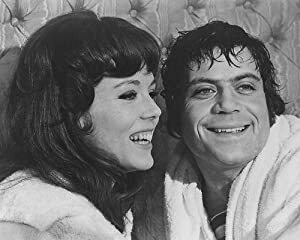 I was watching The Assassination Bureau the other night and watching Oliver Reed with Diana Rigg I wondered what OHMSS would have been if Reed had played 007 instead of George Lazenby. Reed and Rigg had real chemistry and the inclusion of Telly Savalas links this film even more to OHMSS. Would the film have been better with Reed? Do you think he would have stayed for more than one film? Ummm...........i don't think Reed would of been able to meet the strict regime set by the producers, and the studio, such as keeping fit, amongst other things, to of played the role........though he was a very good actor! I doubt he'd have had the discipline needed for Bond . An article emerged two months ago, citing a story where Oliver Reed was rejected from the role for being "too rough". Robert Sellers' biography of Reed recounts the time George Lazenby punched Reed's lights out in a restaurant. "What Fresh Lunacy is This? : The Authorized Biography of Oliver Reed"
I wonder what Reed said to Lazenby? Reed would have been great as a former hero gone bad. That's why I think he would have made a great Whitiker ( if the character's background was changed slightly). In an alternative universe, Reed would have mad a Brilliant Henderson in YOLT. You mean a version of the novel where the character's a drunken Austrailian? Way too much frivolity at the legend's expense here for my liking. Could the boorish Reed have entered the casino with the same swagger as Laz? I think not. Clinging to the bannister as he stumbled down to land in a heap ending up lying in a puddle of his own piss more likely. Could he have handled himself better in the fight scenes? Clearly not if George has battered him in real life. Could he have sold a line like 'North of the Caspian' better than Laz? Probably about the same odds as you getting a cigarette off Grant when he's about to kill you: not a chance! Could he have said 'he had lots of guts' more convincingly? Well I'll have to concede that one I suppose. If EON found George hard to handle though, the acting equivalent of Gazza would have tried their patience way too far; turning up the being a prick and shagging his way through the angels of death to eleven. I really can't picture him as Bond at all. He was considered I beleive. He was talented. BUT he was a drunk, he was difficult to handle and he wasn't good looking enough. Thank heavens this ridiculous notion was not considered! Actually, according to The Bond Files: The Unofficial Guide to the World's Greatest Secret Agent it was considered quite seriously. 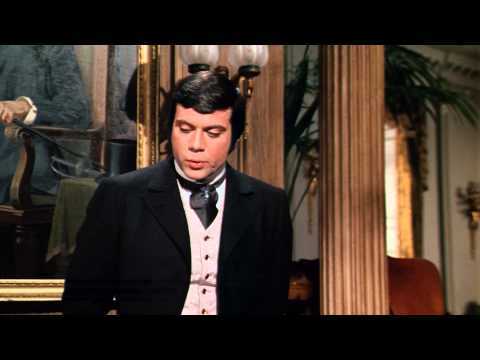 As a fan of The Assassination Bureau I think Oliver Reed would have been okay in OHMSS. Certainly no worse than Lazenby. But I agree that he would have only lasted one or two films at most. I do find it funny that some people think he wasn't good looking enough. I seem to remember similar comments about Daniel Craig. Being a drunk doesn't necessarily mean you wouldn't be successful as the character. Bernard Lee had a serious drinking problem and yet he's widely accepted as the best M.
However, Reed's reputation was too well-known and I agree the producers would have considered him too much of a liability at his worst. I do like Wizard's comparison of Reed being the acting equivalent of Gazza. --It was Lazenby; .." In Vienna Lies The Truth!..not in beer -chap..!..".. (him going down); .."who shut the lights out?..(Grrmmph..)"..! --It was Lazenby; .." In Vienna Lies The Truth!..not in beer -chap..!..".. (him going down); .."who shut the lights out?..(Grrmmph..)..! @MBalje - any chance you could make sense of this for me old chap? Actors are like everybody else-they fit or does not fit in,-recently it sounds like Bond is saying "Top of The Line"(as in I am Top of The line..) as in a certain Mouse..)..(in Wein lieght wahrheit)..(as opposed to more ordinary acting)..-Shake Your Spears-anybody?!.. Dont think me rude @MyNameIsMyBondRn but can I ask is English perhaps not your first language perchance? Or do you suffer from a debilitating affliction that means you can only speak in cryptic crossword clues? ..not me speaking sloppy british crap..!..per chance ! ..my debilitating work speaks volumes; a language is the matter of coveying Your self against another self..and wizard wants people to convey it in what he thinks is a correct uttering..how red-icoulus..is that not. Some of us try to conform to the rules of grammar though. Latin is the basis of All Logichal Grammar, my Grammar comes out of that..!